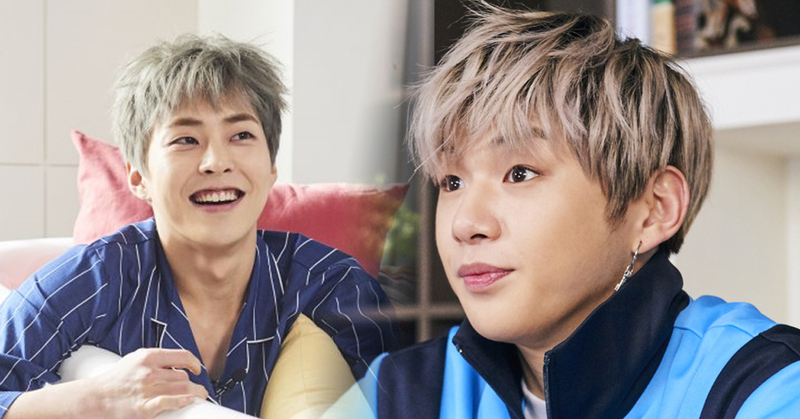 Xiumin of EXO and Kang Daniel are set to appear on this season's ‘It’s Dangerous Beyond the Blankets’ on MBC. With the first episode airing on April 5, ‘It’s Dangerous Beyond the Blankets’ is a reality show documenting the daily lives of celebrities who'd rather take a nap at home than go out partying. In the posters released, Kang Daniel is looking cute and fluffy donning the red checkered pajamas and enjoying chips and jelly, his favorite snack. Kang also looks totally immersed in the graphic novel that he's reading. He seems like he's in his element in the photo shoot. Xiumin of EXO is joining the Wanna One star in the highly anticipated reality show. In the teaser clip released in August last year, Xiumin is tidying up the apartment, and applying moisturizer on his skin. Fans are rooting for the bromance action between the two top K-pop stars!